Acne destroys confidence in young people! 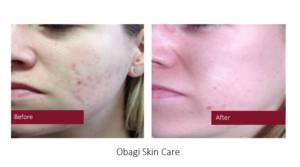 I’m pleased to say that we offer acne and acne scarring solutions at our skin clinic in Portsmouth. It’s heart wrenching when I welcome a young person to my skin clinic who is struggling so badly with their acne. Often their confidence is so affected that it impacts their social & work life, even their ability to go out. Acne is a relatively common skin condition amongst teenagers & 20-somethings. Unless you’ve had the condition then you probably don’t understand the affect it can have on you! There are varying degrees of the severity of acne. Family members may tell you it’s “your age”, “it’s just a few pimples”! When you’re using heavy make up to cover outbreaks which inevitably clog pores and worsen the effects it doesn’t feel like a few spots. Some of my patients are loathe to remove makeup to show us their skin! Perhaps outside of your bedroom you are completely camouflaged? It’s even worse for guys who don’t have the option of using cover ups. There are medical grade skin products which are affordable that can dramatically improve acne. Along with a number of other skin treatments which bring relief to sufferers. I just love to see the changes made by our skin care team with patients. One that springs to mind is a young bride who had a year to make a difference to her skin. She allowed us to guide her with a few simple steps that she could manage daily. Over the months we watched her skin decrease in pustules and outbreaks, gain a great tone & smoothness to the point where she would actually go to work with no foundation! She looked radiant on her wedding day and needed very little makeup to complement her new skin! Improvements aren’t overnight but gradual. If you stick with our recommendations then it will make a difference. For some, it’s the leftover signs of acne – scarring & pitting. Even guys just want smooth, even skin. And I’m pleased to say there are more fellas coming in to the clinic for treatment. With peels, micro needling using dermal rollers, mesotherapy & redermalisation you could change your skin condition. You may be unsure which treatment would be best for you. There are a few on offer. 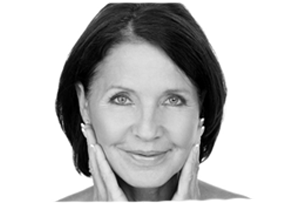 We would talk about your budget and give you a plan, all within the privacy of a consultation with our skin specialist. There are solutions and we can help. Just call Nicky for acne & acne scarring solutions at Skin Clinic in Portsmouth on 02392382000 or email nfairchild@changesclinic.co.uk.